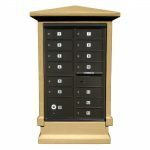 Our decorative stucco column transforms a Cluster Box Unit (CBU) into an elegant mail center. This attractive, prefabricated column comes ready-to-install over a standard USPS approved CBU mailbox and pedestal. The column has an easy-to-handle Styrofoam core with a ready-to-paint, exterior-grade stucco surface. 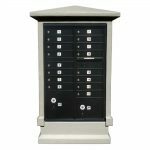 As an option, we offer three paint choices: Sandstone, Burnt Tuscan, or Slate Gray (custom colors available). Two coating options are available. Our foam core columns are durable, yet safer than traditional cinder block or steel stud columns. The foam core is designed to crumple and absorb impact energy during a collision. 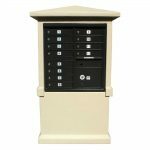 Our columns can be ordered with a CBU mailbox and pedestal, or you can supply your own. The column will fit most "F" spec CBU mailbox units that are mounted on a level pad. 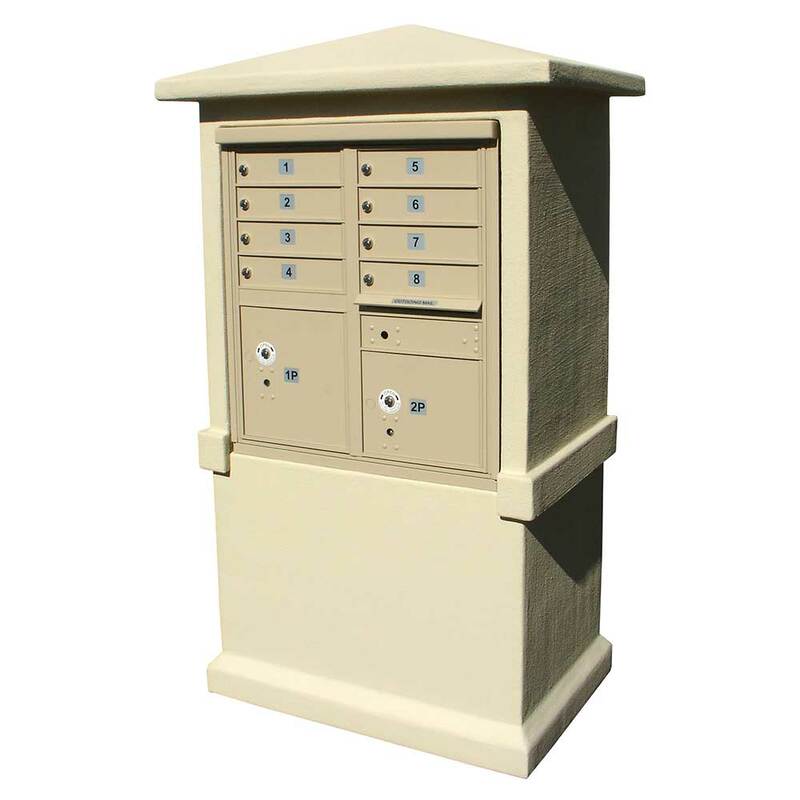 CBU mailbox color choices are: black, bronze, sandstone, white, green or gray (gray requires USPS approval). Local USPS approval is recommended. Standard Single Coat: This is the finish included in the base price. It can be painted with any exterior-grade paint. Extra Durable Double Coat: The second layer of cement is thicker and stronger than the standard single coat and is better suited for high-traffic locations where there is a greater chance of surface impacts. Each column is 42" wide x 30" deep x 72" high. How well does the single coat hold up against outdoor elements? Single coat columns hold up well in all weather conditions. We've had a painted single coat column mounted in front of our building for about 5 years and it still looks great. Is it best to recommend the single coat for covered installations and the double coat for exterior installs? Single coat columns should be used in locations where there is a low incidence of surface impacts. The double coat is stronger and more durable, making it best suited for high-traffic locations where there is a greater chance of surface impacts. Both single and double coat columns can be repaired with standard stucco patch if they ever get damaged. If the column is hit by a car or large rock, the literature mentions that the Styrofoam core will "crumble and absorb impact". Is there any way to repair the Styrofoam core, or will the whole unit need to be replaced? The column will probably need to be replaced if a car hits it. However, since the column consists of two pieces, you might be able to salvage the top if only the base is damaged, or vice versa. If the column is hit by a rock, just use a standard stucco patch available at any major building supply store and repaint. It is easy to repair! Will you send us a sample to examine and then use as a display? We can offer a discount of 25% off for a display.